Tent waterproofing is an essential task to be sure that you are going to have an enjoyable camping trip, especially if your tent is beginning to age. Often people think that just because they have a tent they will stay dry in the rain. However, waterproofing helps prevent your tent from springing a leak or letting water seep in through the edges or seams. Preparing for this is better than finding yourself in a downpour with a problem. The basics: Waterproofing tents is very simple really. All that has to be protected are seams and the outer shell (rain-fly or outer tent wall) mainly. Waterproofing and sealant: When a factory is waterproofing tents they apply a sealant to the tent seams where they have been sewn within the floor and rain fly, and they cover the fly with a water repellent coating. 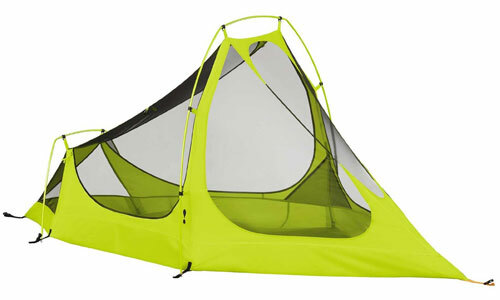 This applies to the most common tents that have a rain-fly and inner tent section. 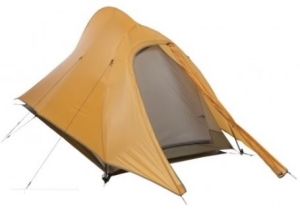 Single wall: If a tent is a single skinned shelter (which are used by more advanced enthusiasts going light, winter camping, or both) then the seams may be sealed, although most are not within the factory, and the fabrics will be made of breathable and waterproof materials that are silicon treated. 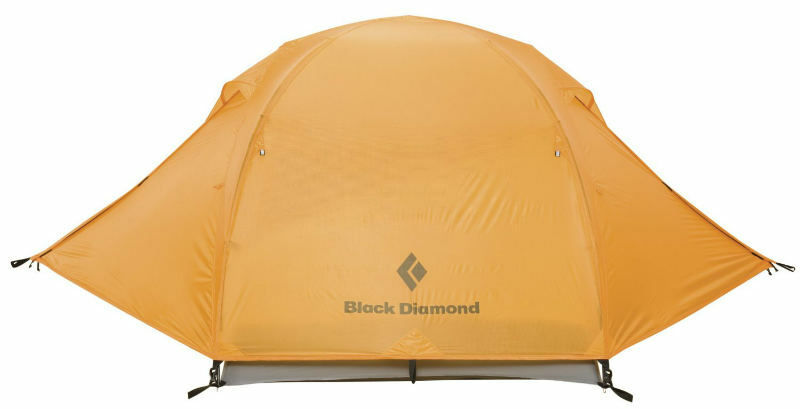 These tents are designed to shed snow but don’t offer the best protection in wet conditions. Taped seams: Most quality tents will have factory taped seams which means they will not need seam sealant applied in the future unless your tent has been put through some tough weather conditions or a large amount of use. After the factory: Sealant and waterproofing products can wear off and you can find water creeping inside your shelter. That is part of the reason that you need to make tent waterproofing treatment a priority. Some tents that do not have taped seams are best to seal before you use them even if they may have been sealed in the factory. Giving a new tent a coat of waterproofing is also good idea. 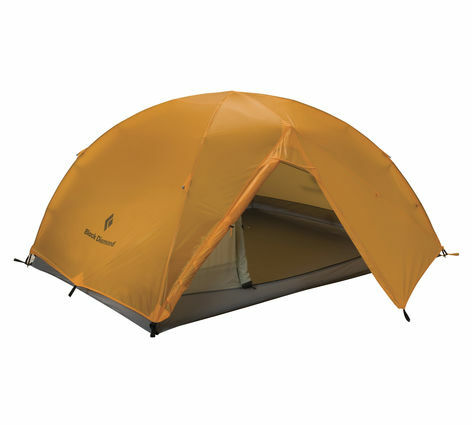 Read and follow given instructions and recommendations by the tent manufacturer first. They may recommend products to use and provide information that will make sure the process of waterproofing is done correctly. Also follow instructions given for using waterproofing products. Clean up the tent: Before waterproofing a tent your likely to need to give it a clean or at least clean off any debris or anything that will prevent sealant and water-proofer from bonding. Cleaning can be done easily by using a sponge and warm soapy water although special tent cleaner can be purchased and used but your going to start spending too much money. You can use a type of alcohol solution to clean up the seams better before applying sealant. McNett sells Cotol-240 that is said to clean and help seam grip (not SilNet) to bond easier and dry quicker. I’ve used McNett sealants (now called GearAid) to keep the advice simple. Apply sealant on all seams inside and outside the fly or tent where the stitching is exposed to water. Your likely to treat the inner part of the fly which is the shiny side although stake out points are on the outer. If using McNett’s products and your tent is made of silicon or its coated with it you will need to use SilNet but, for most others you will need to use seam grip or seam sure. Any steak out points including guy line attachments are also worth sealing. The easiest way to seal the rain-fly is just as McNett states by placing the fly over the tent inside out which makes applying the sealant easier and gives it space to air out and dry. Seams close to the floor area will need a coat of sealant applied which is likely to be a corner area between the floor and walls. These are treated inside the inner tent. A bathtub type of floor that sits a few inches above ground and attaches to other materials such as mesh will not need sealant applied. Drying time: Its best to give a tent a night to dry sealant properly. Flooring: Some tent users will re-coat the tent flooring while others wont because of the extra weight and stiffness added to the materials. I would say most tents do not need this as the foot print is there to protect the floor and rain does not hit the surface of the floor. However, for those with an old buddy they want to revive its worth doing. The fly or single walled tent: There’s a large range of products that can be used that will act as a repellent for the type of fabric your tent is made with. Aquaseal Poly-Coat is a product many enthusiasts use to coat a nylon rain fly and floor that’s reasonable priced. Nikwax tent and gear solar proof is a product worth taking a look at because it protects a tent from UV damage and acts as a water repellent. I have personally only used Nikwax. That did a great job and repelled water well after testing it. I know other people that have used Starbrite, 303 fabric guard, and a few others with success. For the flooring and fly your likely to paint or spray the product on to the fabric. When I used Nikwax I cleaned up the tent then sprayed it while rubbing it with a sponge. After covering the fly I removed the excess proofer and let it dry out as directed by Nikwax. After leaving it to dry out for the afternoon later I did a small test by spraying lightly with the hose. The water was beading as it should and the three patches that was previously letting damp in were fixed. What sealant and water-proofer should I use? There’s many brands that Waterproof and seal seams very well and others that don’t. Personally I stick with well known brands. For sealant I use McNett and waterproofing Nikwax. 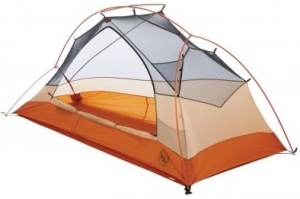 How can I check my tent needs waterproofing? The obvious signs is water leaking inside the tent which likely to be due to a problem with seams rather than the outer shell (rain-fly). Testing can be done by lightly hosing the tent, even with a watering can. Check to see where water is seeping in and look to see if the tent is sagging or damp patches appear. Water should bead and be able to be shook off easily. If water is not beading, water is coming in through a seam or both then do your proofing. Do I need to seam seal my tent that has taped seams? Usually no, because the seams have been taped over rather than having the seam threads exposed, however, after prolonged use they may start to peel. This is easily repaired by using McNett seam grip to treat the problematic area..
Should I seam seal a bath tub floor? No. There’s no need to because the floor comes up from the floor a few inches and connect to materials that are not waterproof.